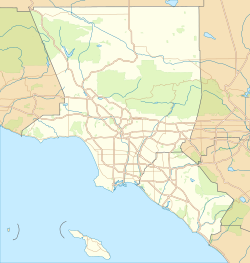 The Los Angeles Times reported that the 2000 U.S. census counted 61,166 residents in the 9.15-square-mile Sherman Oaks neighborhood, including a wide swath of the Santa Monica Mountains—or 6,687 people per square mile, among the lowest population densities for the city. In 2008, the city estimated that the resident population had increased to 65,436. In 2000, the percentages of residents aged 19 to 49 and 65 and older were among the county's highest. The percentages of divorced residents and of widows were among the county's highest. The average household size of two people was low when compared to the rest of the city and the county. Renters occupied 58.9% of the housing stock and house- or apartment-owners held 41.1%. The neighborhood was considered "not especially diverse" ethnically within Los Angeles, with a high percentage of white residents. The breakdown was whites, 73.8%; Latinos, 11.8%; Asians, 5.7%; blacks, 4.4%; and others, 4.4%. Iran (14.1%) and Mexico (8.8%) were the most common places of birth for the 26.2% of the residents who were born abroad—an average percentage for Los Angeles. 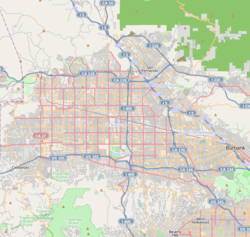 The neighborhood had a median household income of $69,651 in 2008, which was high for the city of Los Angeles but about average for the county as a whole. (Median household income reports the amount of money earned by the household that falls exactly in the middle of the pack.) The percentage of households that earned $125,000 and up was high for Los Angeles County. Los Angeles Fire Department operates Station 88 Sherman Oaks and Station 102 South Van Nuys/Valley Glen in Sherman Oaks. In addition the department operates Fire Station 78, which serves Sherman Oaks, in Studio City. The Los Angeles Police Department operates the nearby Van Nuys Community Police Station at 6240 Sylmar Avenue, 91401, serving the community. The United States Postal Service Sherman Oaks Post Office is located at 14900 Magnolia Boulevard. Richard Close, the president of the Sherman Oaks Homeowners Association (SOHA), stated that, as paraphrased by Dinah Eng of the Los Angeles Times, in 1978 Sherman Oaks "played a key role in the drive for Proposition 13" and in 2002 "was the epicenter of the ill-fated San Fernando Valley secession movement". Van Nuys Middle School. The school was in the Van Nuys community until 1991, when City Council member Marvin Braude directed that a 45-block area that included the school be renamed as part of Sherman Oaks. The school continued to use the name "Van Nuys Middle". The Van Nuys Sherman Oaks Park is in Sherman Oaks. Dinah Eng of the Los Angeles Times wrote in 2002 that the park "is a popular site for family gatherings". The park has an auditorium, two lighted baseball diamonds, six unlighted baseball diamonds, lighted indoor basketball courts, lighted outdoor basketball courts, a children's play area, a 60-person community room, a lighted American football field, an indoor gymnasium without weights, picnic tables, a lighted soccer (football) field, and lighted tennis courts. Located in the same place as the park, the Van Nuys Sherman Oaks Pool is a seasonal outdoor heated swimming pool. Herbert Ryman, Disney artist and imagineer. Actors Ed Begley, Jr., Rami Malek, Rachel Bilson, Kirsten Dunst, Jerry Mathers, singer Katharine McPhee, baseball players Jack McDowell, Brendan Ryan and Giancarlo Stanton, baseball executive Pat Gillick, football players Nick Folk and Kai Forbath and football coach Terry Donahue. ^ a b c d e "Valley Girl reputation, community activist at heart." Los Angeles Times. May 22, 2005. Retrieved on March 23, 2014. ^ "Council Urges New Chandler Estates ZIP". Los Angeles Times. ^ "Neighborhood Presses for Identity It Lost in 1962". Los Angeles Times. ^ "Van Nuys Loses Another Area to Sherman Oaks". Los Angeles Times. ^ "Part of Van Nuys will get new name". Los Angeles Times. ^ "La Reina Theatre". Cinema Treasures. Retrieved January 24, 2013. ^ "Fire Station 88." Los Angeles Fire Department. Retrieved on May 5, 2009. ^ "Fire Station 102." Los Angeles Fire Department. Retrieved on May 5, 2009. ^ "Fire Station 78." Los Angeles Fire Department. Retrieved on May 5, 2009. ^ "Van Nuys Community Police Station." Los Angeles Police Department. Retrieved on May 5, 2009. ^ "Post Office Location – SHERMAN OAKS." United States Postal Service. Retrieved on December 6, 2008. ^ Stewart, Jocelyn Y. "Identity Crisis : Community: The decision to change the name of a 45-block area of Van Nuys to Sherman Oaks leaves junior high in an odd position." Los Angeles Times. August 23, 1991. Retrieved on March 23, 2014. ^ Sarkisian-Miller, Nora. "A hideaway in Sherman Oaks." Los Angeles Times. May 7, 2006. Retrieved on March 23, 2014. ^ Glover, Scott. "SHERMAN OAKS : Meeting Will Focus on Future of Schools." Los Angeles. June 15, 1993. Retrieved on March 23, 2014. ^ "Sherman Oaks Branch Library." Los Angeles Public Library. Retrieved on March 19, 2010. ^ "Van Nuys Sherman Oaks Park." City of Los Angeles. Retrieved on March 19, 2010. ^ "Van Nuys Sherman Oaks Pool." City of Los Angeles. Retrieved on March 19, 2010. ^ "Van Nuys Sherman Oaks Senior Citizen Center." City of Los Angeles. Retrieved on March 19, 2010. ^ "Van Nuys Sherman Oaks Tennis Courts." City of Los Angeles. Retrieved on March 19, 2010. ^ "Sherman Oaks Castle Park." City of Los Angeles. Retrieved on March 19, 2010. ^ "Paula Abdul's California mansion is on the market for $1.9 million – Daily Mail Online". Mail Online. ^ "Baba Ali Biography". Alistandup. Retrieved January 1, 2013. ^ "Jennifer Aniston Biography". People. ^ "LeVar Burton Biography". Biography.com. February 16, 1957. ^ "Obituary: Charles E. Puskar / Force behind creation of SIDS of Pennsylvania". Pittsburgh Post-Gazette. April 25, 2009. ^ "Joseph Gordon-Levitt". Archived from the original on October 8, 2012. Retrieved July 8, 2013. ^ Dovey, Rachel. "Joseph Gordon-Levitt: Hollywood's Boy Wonder Grows Up", Paste, October 11, 2010. ^ "Brian Grazer Biography". Yahoo. Retrieved January 1, 2013. ^ SV3 Design. "sweet ♥ harts". Sweethartssweets.com. ^ "Let's Discuss Demi Lovato's New Digs". Realestalker.blogspot.com. November 10, 2010. Retrieved June 12, 2013. ^ "Demi Lovato Treats Family to a Home – on Her Birthday". Teen Hollywood. August 21, 2010. Retrieved March 16, 2013. ^ "Olsen Twins Dad Broke – Dakota Fanning Sports Wish from Mom and Dad". National Ledger. June 27, 2010. Retrieved July 5, 2010. ^ Ken Ellingwood & Richard Winton (February 17, 1997). "Drawing Flak but Not Retreating; Politics: Pasadena Mayor William Paparian has taken on crusades all his public life. Although he gets plenty of criticism, he is unapologetic about his stands". Los Angeles Times. ^ "Luke Perry dead at 52 following massive stroke". Today Show. March 4, 2019. Retrieved March 4, 2019. ^ Obituary Variety, March 4, 1991. ^ Obituary (February 14, 1989). "H. Ryman; Illustrated Disneyland Plans". Los Angeles Times. Retrieved October 4, 2014. ^ "Rest in Peace: Warren Stevens". Dread Central. Retrieved January 26, 2015. ^ Mark David. "Shia LaBeouf Gets a Home of His Own". Variety. Retrieved January 18, 2016. ^ Mark David. "Charlie Sheen Picks Up Third House in Gated Enclave". Variety. Retrieved January 18, 2016. ^ Mark David. "Dodger All-Star Yasiel Puig Catches Sherman Oaks Macmansion". Variety. Retrieved January 18, 2016. ^ "Bilson Backed schoolmate McPhee During American Idol". ContactMusic.com. World Entertainment News Network. Retrieved January 20, 2007. ^ "Hello Magazine Profile—Kirsten Dunst". Hello. Hello! Ltd.
^ "TogetherWeServed – Sgt Jerry Mathers". Airforce.togetherweserved.com. June 2, 1948. This page is based on the Wikipedia article Sherman Oaks, Los Angeles; it is used under the Creative Commons Attribution-ShareAlike 3.0 Unported License (CC-BY-SA). You may redistribute it, verbatim or modified, providing that you comply with the terms of the CC-BY-SA.